The University of Sydney today welcomed the NSW Government's $1 billion commitment for medical research including $10 million for an innovation hub connecting research, education, and health services as part of the University of Sydney-Westmead Precinct redevelopment. Vice-Chancellor Dr Michael Spence said that support would enable the University to work with professionals across the precinct, with other education providers, the community and private organisations, to trial new approaches that take advantage of rapidly developing technology, along with advances in medical research, to improve health care. "The University of Sydney, which played a founding role in the establishment of Westmead in the 1970s, is committed to building an even stronger partnership within the Precinct and to find new ways to better meet the community's health needs in the future," Dr Spence said. "We are confident that this work will improve health choices and outcomes, as well as quality of life for the 900,000 additional people expected to make their home in Western Sydney over the next 15 years. "The Westmead Precinct, including the adults' and children's hospitals, Cumberland Mental Health Hospital, Westmead Private Hospital, medical research institutes, clinicians, staff, students and primary health care networks are continuing to build a world leading health system in Western Sydney." Dr Spence paid tribute to the leadership of the Western Sydney Local Health District, the Sydney Children's Hospital Network and the Westmead Research Hub, who encouraged the concept of an innovation hub for the heart of the precinct. "The Parramatta City Council and the Westmead Alliance have also played important roles in developing a vision for the precinct's future, serviced by excellent transport solutions as the proposed Parramatta Light Rail," he said. "Western Sydney deserves world-leading health services, research and infrastructure, and the University of Sydney looks forward to working with the Precinct through its redevelopment to make the innovation hub a globally recognised resource both for the people of the region and around the state," said Dr Spence. Member for Pittwater and NSW Environment Minister Rob Stokes today announced the NSW Government will provide $52,100 to assist Pittwater Council restore native bushland at Cannes Reserve, Avalon Beach. The NSW Environmental Trust grant will help Pittwater Council to restore endangered Coastal Littoral Rainforest and Pittwater Spotted Gum Forest ecological communities in the reserve. “Cannes Reserve contains important remnants of Pittwater’s original bushland,” Rob Stokes said. “It’s an important refuge for a number of our threatened animal species - including the grey headed flying fox, the eastern freetail bat and the Powerful Owl. “However the edges of the reserve have been overtaken by aggressive weeds such as large-leaved privet and other garden escapes. “Much of the rainforest canopy has also collapsed in the core of the reserve due to vandalism and weed invasion – changing the rainforest microclimate and the make-up of the local vegetation. “This grant will help Council remove the weedy understorey at the edges of the reserve, carry out intensive ecological restoration and ensure its viability as a beautiful pocket of native bushland. Mr Stokes said by removing weeds from the edges of the reserve, and planting native species unsuitable for a flying fox habitat, that the project would also help create a buffer between neighbours and the flying fox camp. The grant to Pittwater Council is one of 57 grants worth over $4.6m in the NSW Government’s recent Restoration and Rehabilitation Program through the NSW Environmental Trust. The NSW Environmental Trust is an independent statutory body established by the NSW Government to fund a broad range of organisations to undertake projects that enhance the environment of NSW. The Trust is chaired by the Minister for the Environment. March 17, 2015 - Patients with acute coronary syndrome undergoing coronary angiogram, a procedure used to assess blockages in the heart's arteries, had a significantly lower risk of major bleeding and death if their interventional cardiologist accessed the heart through an artery in the arm rather than the groin, according to research presented at the American College of Cardiology's 64th Annual Scientific Session. Study authors said the results should prompt a re-evaluation of clinical guidelines and that the arm, currently used in a minority of cases in the United States, should be the preferred approach for most catheter-based heart procedures. The study did not show a significant reduction in one of its two primary endpoints, a composite rate of death, heart attack or stroke 30 days after a catheterization procedure. However, the second primary endpoint, which included those events plus major bleeding, showed a significant reduced risk in patients randomized to receive a catheter via the arm, known as the radial approach, rather than the groin, known as the femoral approach. In addition, patients receiving a catheter via the groin faced a significantly higher risk of death, which was driven by increased bleeding complications in these patients, the study authors said. "I believe the evidence from our study should compel a switch to the radial approach as the preferred method," said Marco Valgimigli, M.D., Ph.D., associate professor of cardiology and senior interventional cardiologist at the Erasmus University Medical Center in the Netherlands and the study's lead author. "I hope that a new generation of interventional cardiologists will be specifically trained in the radial approach and that more medical centers will build up their expertise in this procedure." The study is the first large trial to show radial access improves patient outcomes and that it reduces dangerous bleeding beyond the bleeding that can occur near where the catheter is inserted. U.S. interventional cardiologists currently use the arm for catheter-based heart procedures in less than 15 percent of cases. The approach is more common in Europe, where interventional cardiologists use the arm roughly half of the time or more. "This study shows that interventional cardiologists who are experienced with the radial approach have nothing to lose and everything to gain by using the arm as the access point for these procedures," Valgimigli said. In addition to improving outcomes, the radial approach can also save on medical costs because it typically results in a quicker recovery and shorter hospital stay, Valgimigli said. During a coronary angiogram--performed in more than 1 million people in the United States each year--an interventional cardiologist examines the heart's arteries using miniscule medical equipment threaded to the heart through a catheter placed in an artery in the groin or arm. If a blockage is found, the surgeon typically uses the same catheter to inflate or expand a small device to push aside plaque and open the artery, a procedure known as angioplasty or stenting. The study randomized more than 8,400 angiogram patients at 78 hospitals in four European countries to receive angiogram via the arm or the groin. All study participants had acute coronary syndrome, a condition that includes the two types of heart attack--ST-elevation myocardial infarction and non-ST elevation myocardial infarction--or unstable angina, a type of severe chest pain that is due to the buildup of plaque in the heart's arteries. Patients receiving radial access suffered major bleeding, death, heart attack or stroke within 30 days in 9.8 percent of cases as compared to 11.7 percent in those receiving femoral access. The difference was largely attributable to major bleeding, which occurred in 1.6 percent of patients receiving radial access and 2.3 percent of patients receiving femoral access, and death, which occurred in 1.6 percent of patients receiving radial access and 2.2 percent of patients receiving femoral access. Study authors attributed the fact that the study did not meet its other co-primary endpoint to a higher-than-usual bar for statistical significance, a result of the inclusion of two co-primary endpoints in the study rather than only one. The study found no differences with respect to rates of heart attack or stroke. Interventional cardiologists have typically favored catheter access through the groin because it involves a larger artery that is less prone to spasm, an event that can limit the ability to move medical equipment through the catheter. Although the artery in the arm is closer to the surface and thus easier to access, the artery's smaller size makes the radial approach more technically difficult and requires the use of smaller equipment. Because the radial approach is more difficult to perform, the study showed the hospital's level of experience with this method had a substantial impact on patient outcomes. To build the level of experience necessary to maximize the benefits of the radial approach, a given surgeon should use the radial approach in at least 80 percent of cases, Valgimigli said. However, the femoral approach is still appropriate for certain types of procedures that require the use of larger equipment, such as transcatheter aortic valve implantation or TAVI. The study, called the Minimizing Adverse Hemorrhagic Events by Transradial Access Site and Systemic Implementation of AngioX Program (MATRIX), also tested the effects of the anticoagulant drug Bivalirudin. Those results are being reported separately. The above story is based on materials provided by American College of Cardiology. Australian smart technology that harvests blast furnace waste and converts it into a new product to make cement, is being trialled for commercialisation in China where 60 per cent of the world's iron waste is produced. The process, known as Dry Slag Granulation, also reduces water use and greenhouse gas emissions, and is the focus of an agreement signed by CSIRO and the Beijing MCC Equipment Research & Design Corporation (MCCE). The signing of the agreement, to demonstrate CSIRO's Dry Slag Granulation (DSG) technology at industrial scale, is a landmark for Australia-China research collaboration and for environmentally friendly metal production, according to CSIRO Director of the Mineral Resources Flagship, Jonathan Law. "Our collaboration is an exciting step towards the uptake of an innovation with real prospects of transforming the productivity and environmental performance of global iron smelting," Mr Law said. "The benefits from wide uptake of DSG technology on blast furnaces will be profound in helping the global industry to reduce water and energy use and greenhouse gas emissions while sustaining metal production." The DSG technology that is fitted to blast furnaces includes a spinning disc and granulation chamber that separates molten slag into droplets under centrifugal forces, uses air to quench and solidify the droplets, and extracts a granulated slag product as well as heated air. The process produces a 'glassy' product that is ideal for cement manufacture, but has significantly lower associated greenhouse gas emissions than cement produced by conventional methods. Air at 500-600°C extracted from the DSG process can be used onsite for drying, preheating or steam generation. The technology also saves water and eliminates the underground water pollution that can be associated with alternative wet granulation processes. "The benefits each year from full commercialisation and adoption of DSG technology are in the order of 60 billion litres of water, 800 petajoules of heat energy and 60 million tonnes of greenhouse gas emissions," Mr Law said. "Those savings are equivalent to 14 per cent of Australia's energy use and about 10 per cent of our greenhouse gas emissions each year." In entering the collaboration with MCCE, CSIRO has recognised the R&D reputation of the Beijing-based company and its ability to scale-up the technology and introduce it into China - where 60 per cent of the world's 300 million tonnes of iron blast furnace slag is produced each year. Under the agreement MCCE is to scale-up and demonstrate the technology at industrial scale and, upon success, commercialise it in China and then potentially worldwide. The agreement is the culmination of more than a decade of DSG technology development by CSIRO and industry partners including Arrium and BlueScope. This work covered initial design and proof of concept stages through to the construction and operation of prototype DSG pilot plants at small, intermediate and large scales. "DSG is just one of the CSIRO innovations in sustainable steel production and one of many solutions we have found for national and global challenges in the minerals industry," Mr Law said. "The DSG project is a good example of reward from continuous R&D investment and we look forward to working closely with MCCE to bring it to full fruition." The NSW Environment Protection Authority (EPA) seeks your views on the draft education strategy to support Waste Less, Recycle More,a $465 million package to transform waste and recycling in NSW over five years. To meet the goals of the NSW Waste Avoidance and Resource Recovery Strategy 2014–21, education is crucial. This education strategy, Changing Behaviour Together, is a framework for us, our partners and stakeholders to change community behaviour through targeted education. • provide a framework to evaluate education activities. Right now over five million shorebirds are migrating from Australia to breed in the Arctic – for some that’s the equivalent of doing 309 consecutive marathons with only one or two drink stops along the way. And what’s more, once they have nested and raised their young, they turn around and do it all again. From 21 March – 19 April, BirdLife Australia will be celebrating its annual migratory shorebird event, Farewell Shorebirds. We are challenging Australians to join the birds, by registering their human-powered kilometres against the bird-powered kilometres. Do we as a nation have what it takes to walk, jog, cycle or swim as far as these incredible birds? As well as registering your kilometres for the shorebirds, we are encouraging Australians to follow the departure of eight popular shorebirds through our online Departure Lounge. It includes the Bar-tailed Godwit from the Hunter Estuary in NSW, the Curlew Sandpiper from Point Cook in Victoria, the Eastern Curlew from Queensland’s Moreton Bay, the Greater Sand Plover and the Red Knot from the Broome Bird Observatory in WA, the Great Knot from Lee Point in Darwin, the Red-necked Stint from Barrow Island in WA, and the Ruddy Turnstone from South Australia. To be a part of this exciting event head to the website, log your distance travelled each day, help reach the national target, learn about shorebirds and go into the draw to win some incredible prizes! CEO of Sea Shepherd Global, Alex Cornelissen and Director of Sea Shepherd Netherlands, Geert Vons, seal the deal on a custom-designed Antarctic Patrol Vessel. Backed by the incredibly generous 8.3 million euros received from the Dutch Postcode Lottery in January, Sea Shepherd has now signed the contract with Dutch shipbuilder, Damen, that will turn this dream ship into a reality. March 17, 2015 - The 3-D printing revolution has changed the way we think about plastics. Everything from children's toys to office supplies to high-value laboratory equipment can be printed. The potential savings of producing goods at the household- and lab-scale is remarkable, especially when producers use old prints and recycle them. Buying plastic filament for printing can be expensive, says Joshua Pearce, the lead researcher in the Open Sustainability Technology group at Michigan Technological University. Pearce and his students have whittled the cost of printing to ten cents per kilogram -- down from $30 per kilogram. They made this leap by recycling plastic that had already been printed, using a recyclebot and plastic resin codes developed by the team. In a new paper from the research group, published inResources, Conservation and Recycling, the authors lay out how they achieved this price reduction and how to recycle 3-D printed objects more broadly. "The centralized paradigm of both manufacturing and recycling is being challenged by the rise of 3D printing," Pearce says, explaining that labeling and reusing materials is voluntary. Current labeling schemes, however, are not detailed enough for 3-D printed recycling. Plastic is not just plastic; there are many kinds, and specific polymers behave in specific ways -- which makes a big difference for 3-D printing. "We want to know about polymers the same way a chemist would," Pearce says, admitting that the seven codes in the US recycling system fall short. In comparison, China has 140 codes for different polymers. "Currently, the most common 3-D printed plastics are grouped in the category seven polymers in the US," he adds. That seven category is the catch-all group and means little as a label. Most widely used and conventionally produced plastics fall into the first and second categories -- the same groups that cover plastic water bottles and milk jugs. These can be recycled for 3-D printing, but the two most common plastics for 3-D printing are PLA (polylactic acid) and ABS (acrylonitrile butadiene styrene). PLA is often used as biodegradable dinnerware and ABS is the hard plastic of Lego blocks. Although they're distinctly different, being lumped with so many others in the seven categories makes it difficult to reuse these plastics in 3-D printing. To overcome these issues, Pearce and his team developed a new resin code identification system based on the Chinese codes. They focused on polymers that could be recycled in 3-D printing and made the system expandable to accommodate innovations in printing and plastics. "We also demonstrated how to incorporate recycling symbols into 3-D printed objects using open-source and parametric scripts for our new print codes," Pearce says. The scripts are freely available on Appropedia. The labels themselves are novel in 3-D printing. Standard recycling labels are small, slightly raised and often placed on the bottom or another convenient location. But with 3-D printing, the labels can be woven into the design itself. A pencil holder can reveal its secret polymer type as light shines through its plastic bottom or a broken screwdriver handle can be cracked open to show its code number. Neither is possible with conventional manufacturing. The inventive ways to use recycling labels along with the new code system and free scripts are a big step towards better 3-D printing recycling, which is good for the environment. Pearce hopes to make the practice widespread. "To make this actually happen, the coders for the slicing software need to make this an option," he says. "So we're sharing the source codes so they can incorporate them into their software for free, so everyone can use it." A spectacular hummingbird species feared extinct for 69 years has been rediscovered during dry season fires across the Sierra Nevada de Santa Marta in Colombia. An intense and prolonged dry season in the Sierra Nevada de Santa Marta, combined with fires set by Kogi indigenous people for agricultural purposes, has devastated its fragile high-elevation habitat or páramo, home to a suite of endemic plants and animals. Two conservationists — Carlos Julio Rojas and Christian Vasquez — who work at ProAves' El Dorado nature reserve in the mountain range, carried out investigations to document the fires. 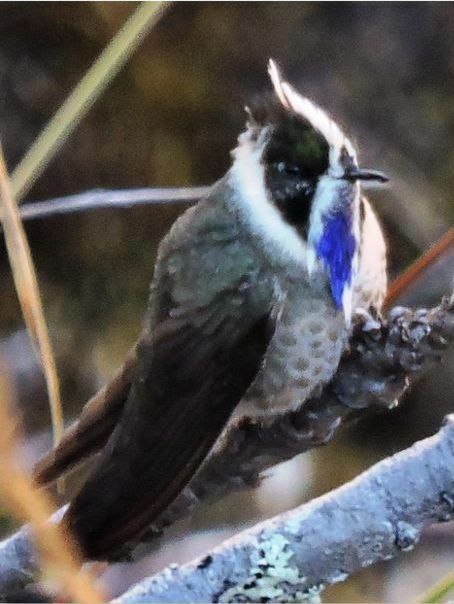 On 4 March 2015, they photographed the spectacular Blue-bearded Helmetcrest — a hummingbird last seen in 1946 and feared extinct. Unfortunately, the habitat of the three birds they saw is threatened by the ongoing fires. A scientific article detailing the rediscovery was published today in the journal Conservación Colombiana and is available online atwww.proaves.org. Described in 1880, Blue-bearded Helmetcrest was last seen in 1946. Restricted to the world's highest coastal mountain range — the Sierra Nevada de Santa Marta, which rises to over 19,000 feet — the hummingbird was suspected to be facing severe threats as cattle ranching by indigenous people expanded across the sensitive high-elevation slopes of the mountain range. Each dry season, more of the fragile brush and forest is burned to make way for cattle grazing. The fragile montane forests are unique as the range pre-dates the Andes by over 100 million years. Over the past 10 years, searches for Blue-bearded Helmetcrest have failed. Last year it was pronounced Critically Endangered by IUCN and BirdLife International, and considered to be possibly extinct. The species is dependent on stunted forest and bushes amongst natural páramo grasslands — habitat that is highly susceptible to fires during the dry season. The situation is even more difficult because the flower the helmetcrest depends on — the Santa Marta Frailejon — is itself threatened by persistent fires and has also been declared Critically Endangered. The highest elevations of Sierra Nevada de Santa Marta were declared a National Park in 1964, and 15 years later the park was declared a UNESCO Biosphere Reserve. The reserves cover the mountain range and hold some 50,000 indigenous people, mainly of the ethnic groups Kogi and Arhuacos. In 2014, the journal Science published an article that identified the Sierra Nevada de Santa Marta National Park as the world's most important protected area for the conservation of threatened terrestrial species — rated first across over 173,000 protected areas worldwide. During a prolonged and particularly intense dry season in February 2015, National Park staff informed local conservationists Carlos Julio Rojas and Christian Vasquez, who work for Fundación ProAves at the El Dorado Nature Reserve in the Sierra Nevada de Santa Marta, of an ongoing crisis with fires set by indigenous peoples across the park. Seeking to document the environmental impacts of this burning, Carlos and Christian used their vacation time to explore the higher elevations of the mountain range and recorded multiple fires that were destroying fragile natural habitat. At 11 am on 4 March 2015 during surveys of the fire, Rojas excitedly noted: "I saw the flash of a bird screeching past me and saw it perch on a bush nearby. I managed to take a quick photo of it before it flew off. I then reviewed the photo on the camera screen and immediately recognised the strikingly patterned hummingbird as the long-lost Blue-bearded Helmetcrest — I was ecstatic! After reports of searches by ornithologists failing to find this spectacular species, Christian and I were the first people alive to see it for real." Vasquez took up the story: "We set up camp and for the next two days watched the area to document a total of three individuals of the helmetcrest in an area of less than 10 ha, in three tiny scattered patches of forest clinging to the steep hillsides and surrounded by the remains of burnt vegetation... the area is really important as we also discovered the Critically Engendered Santa Marta Wren alongside the helmetcrest." "Sadly the survival of the Blue-bearded Helmetcrest hangs by a thread," said Rojas. "The impacts of fire are everywhere with the charred remains of plants littered across the páramo. I spoke with the Arhuacos indigenous peoples and they told me that the Kogi peoples are setting the fires and running pigs and cattle across the area. It is crucial that the fires are stopped immediately and that cattle and pigs are removed from the highest elevations to allow the fragile páramo ecosystem to recover before this unique hummingbird and its equally rare food plant become extinct." Over one million inhabitants in the arid lowlands around the Sierra Nevada depend on the filtration and provision of water from its páramo ecosystems. Further degradation of this habitat for livestock production not only endangers the survival of the helmetcrest, but could also result in future severe droughts impacting the people of the region. Hopefully, the National Parks authority and the Kogi indigenous peoples can work together with Fundación ProAves to better protect the future of the Sierra Nevada de Santa Marta, perhaps the planet's most irreplaceable mountain for both people and biodiversity. This is the second piece of good news within a week for Colombian avifauna, following last week's revelations that a new species of tapaculo had been described from humid montane forests within the country (more here). Attractions include bushwalks to lookouts and Aboriginal engravings, plus from the hostel you can see native birds, wallabies, possums and goannas. This backpacker hostel is perfect for those wishing to get out of Sydney without actually leaving Sydney. Escape for a week or just a weekend. OPINION: How would you feel if half of Sydney’s beaches were replaced with concrete walls? Unfortunately, this scenario is already common in urban estuaries around the world. According to our research, published this month in Frontiers in Ecology and the Environment, some estuaries in Australia, the United States and Europe have had more than 50% of their natural coastline modified with artificial structures. This “marine urbanisation” – including foreshore developments, port facilities, marinas and even offshore energy platforms – is most widespread in Europe where over 9,000 marinas and more than 200 offshore energy installations are operational. Australia and the United States are catching up with the Bass Strait a focus for oil and gas platforms, and the Gulf of Mexico supporting some 2,000 oil and gas installations. Thankfully, there are lessons we can learn from land-based sustainable architecture that will help us save our seas from the effects of all this concrete. You have probably noticed the amount of concrete and other building materials that have begun to encroach on many of our shorelines, amid the growing demand for coastal urban development. Not even the deep ocean, generally considered a haven for marine organisms, is safe, with a steady increase in the construction of offshore energy infrastructure such as platforms for oil and gas exploration. The reality is that urban sprawl is no longer just a land-based problem. Developments are spreading out into the oceans, creating tangles of structures beneath the water’s surface. Seawalls, breakwaters and boating infrastructure such as marinas are becoming increasingly conspicuous in the marine environment. We build concrete walls to protect our coasts from nature’s forces. We add wooden pylons and floating structures to support a burgeoning shipping industry. Mountains of underwater scaffolding support a growing offshore energy and resource sector. There are more than 7500 offshore rigs worldwide and this number is growing rapidly, but at the same timemore than 6500 rigs are expected to require decommissioning by 2025. Hence we are dealing with a double edge sword of how to manage impacts from new installations and how to minimise the disturbance associated with removal of these enormous structures. And we are finding more novel ways to build into the sea, such as entire artificial islands built in Dubai and the (not so) futuristic underwater hotels proposed for Fiji and the Great Barrier Reef. These artificial structures present a range of ecological problems, including loss of native species diversity and the spread of introduced species. Furthermore, the defences to coastal shores that these structures, such as groynes and seawalls, are meant to provide could actually be causing more bad than good. Indiscriminate construction within urban seascapes is, among other things, responsible for the loss and degradation of important habitats such as sediments, seagrasses, mangroves and wetlands. In the UK, proposed offshore wind energy developments will replace an area of soft sediment habitat close to the size of Melbourne. These habitats are not only highly productive, supporting a variety of species, including some economically important, but some provide natural protection for the coastal zone against storms and waves. Fortunately, not everything is bad news. The silver lining is that urban seascapes are still a relatively new phenomenon and we can learn from the pitfalls of urban land-based developments. More alternative methods have been used to armour our coastal zones against climate change. These include soft engineering approaches e.g. managed realignment, which involves the removal of hard defence structures and restoration of natural coastal vegetation, and beach replenishment where sand is deposited on beaches to build up the surf zone and dune protection. Where these approaches are not possible then increasingly we need to build ecologically sensitive artificial structures. Combining ecological principles with engineering designs is probably the most promising solution for the current urban sprawl, with terms such as green or eco-engineering being more frequently used (and applied) to urban seascapes. Practices of eco-engineering are driving innovative strategies on how to manage coastal development, and increasingly, things are being built “with nature” instead of “against nature”, with encouraging results. Artificial structures, where they are needed, can and should be built in a more ecologically friendly way. Currently, most artificial structures in the marine environment are built for a single purpose, such as coastal protection, tourism, energy or food production. We suggest that multipurpose structures should be built instead. Why can’t offshore oil and gas platforms serve as aquaculture areas or even diving spots – they tend to attract plenty of fish. Similarly, we can build seawalls and breakwaters in ways that not only help to protect the local area but are also designed to avoid environmental impacts. Why not transfer the urban concept of “green roofs” to the sea, by seeding artificial structures with key desired and/or threatened species. Breakwaters in the Adriatic Sea have been successfully “seeded” with the seaweed Cystoseira barbataand oyster reef restoration efforts can be applied to new foreshore developments. Seeding of key species can also improve water quality through the absorption or removal of contaminants. Thankfully, there are now several global initiatives that try to solve, or at least mitigate, the many problems caused by underwater urbanisation. The Nature Conservancy’s Southern Seascapes project aims to restore coastal estuaries that are home to shellfish and seagrass, whereas the Sydney-based World Harbour Project is working to make the world’s urban ports and harbours more sustainable. Projects such as these will provide the basic research needed to progress eco-engineering designs on a large scale. Many of the world’s major cities – including Sydney, New York, Rio de Janeiro, Shanghai, San Francisco, Singapore, Hong Kong, Stockholm, Abu Dhabi, Tokyo, and Qingdao – are on the coast or in large estuaries. However, eco-engineering remains under-utilised in the management of marine urban sprawl. This is partly due to the lack of policy and incentives driving ecologically sustainable development below the waterline. Europe leads the way in strategies to promote green infrastructure through policy. The rest of the world needs to catch up before concepts such as underwater cities escape the realms of science fiction. Katherine Dafforn is a Senior Research Associate in marine ecology, Emma Johnston is Professor of Marine Ecology and Ecotoxicology and Mariana Mayer-Pinto is a Research Associate in marine ecology at UNSW. Joanne Banks is Project Coordinator for the World Harbour Project. UNSW scientists have developed an efficient oxygen-producing electrode for splitting water that can be scaled up to produce hydrogen – a clean energy fuel. UNSW scientists have developed a highly efficient oxygen-producing electrode for splitting water that has the potential to be scaled up for industrial production of clean energy fuel, hydrogen. The new technology is based on an inexpensive, specially coated foam material that lets the bubbles of oxygen escape quickly. “Our electrode is the most efficient oxygen-producing electrode in alkaline electrolytes reported to date, to the best of our knowledge,” says Associate Professor Chuan Zhao, of the UNSW School of Chemistry. The research, by Associate Professor Zhao and Dr Xunyu Lu, is published in the journal Nature Communications. Inefficient and costly oxygen-producing electrodes are one of the major barriers to the widespread commercial production of hydrogen by electrolysis, where the water is split into hydrogen and oxygen using an electrical current. Unlike other water electrolysers that use precious metals as catalysts, the new UNSW electrode is made entirely from two non-precious and abundant metals – nickel and iron. Commercially available nickel foam, which has holes in it about 200 micrometres across, or twice the diameter of a human hair, is electroplated with a highly active nickel-iron catalyst, which reduces the amount of costly electricity needed for the water-splitting to occur. This ultra-thin layer of a nickel–iron composite also has tiny pores in it, about 50 nanometres across. “The three-dimensional architecture of the electrode means it has an enormous surface area on which the oxygen evolution reaction can occur,” says Associate Professor Zhao. Hydrogen production is a rapidly growing industry, but the majority of hydrogen is still produced using fossils fuels such as natural gas, oil and coal, because this approach is still cheaper than electrolysis of water. Hydrogen is a great fuel for powering mobile devices or vehicles, and storing electricity generated from renewable energy, such as solar. “I think this electrode has great potential for the industrial-scale production of hydrogen. Our next goal is to understand the science behind it and to further improve its performance. Cleaner sources of fuel like hydrogen will be particularly important for reducing carbon dioxide emissions and solving the air pollution problems from the burning of fossil fuels such as coal,” says Associate Professor Zhao. Would you like to know more about our local birds? Our guides can help you discover the birdlife in these wonderful bushland reserves. Our birdwalks start at 7.30 or 8am and last for a couple of hours. Bring binoculars and morning tea for afterwards if you like. Older children welcome. Contact us to book and get details for each walk. Email pnhabirdwatching@gmail.com or ph: 0439 409 202 / 0402 605 721. March 17, 2015 - Uplift associated with the Great Rift Valley of East Africa and the environmental changes it produced have puzzled scientists for decades because the timing and starting elevation have been poorly constrained. Now paleontologists have tapped a fossil from the most precisely dated beaked whale in the world -- and the only stranded whale ever found so far inland on the African continent -- to pinpoint for the first time a date when East Africa's mysterious elevation began. 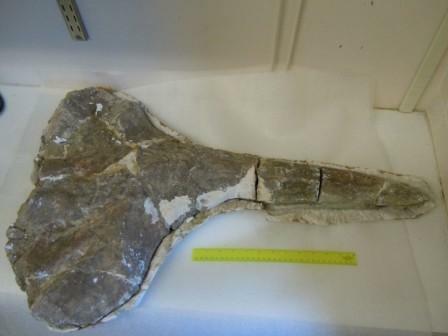 The 17 million-year-old fossil is from the beaked Ziphiidae whale family. It was discovered 740 kilometers inland at an elevation of 620 meters in modern Kenya's harsh desert region, said vertebrate paleontologist Louis L. Jacobs, Southern Methodist University, Dallas. At the time the whale was alive, it would have been swimming far inland up a river with a low gradient ranging from 24 to 37 meters over more than 600 to 900 kilometers, said Jacobs, a co-author of the study. The beaked whale fossil was discovered in 1964 by J.G. Mead in what is now the Turkana region of northwest Kenya. Mead, an undergraduate student at Yale University at the time, made a career at the Smithsonian Institution, from which he recently retired. Over the years, the Kenya whale fossil went missing in storage. Jacobs, who was at one time head of the Division of Paleontology for the National Museums of Kenya, spent 30 years trying to locate the fossil. His effort paid off in 2011, when he rediscovered it at Harvard University and returned it to the National Museums of Kenya. The National Library of Australia offers a range of Fellowships and Scholarships for established and emerging researchers, practising writers and artists, and younger scholars. The Library has a world-class collection and is a hub for research, intellectual and creative endeavour. The Fellowships and Scholarships stimulate sustained scholarly, literary and artistic use of the Library’s rich and varied collections and promote lively interaction within the Library’s community. These awards support in-depth access to the collections and to staff, and provide financial assistance and uninterrupted time for scholars, writers and artists to conduct a sustained period of research or creative development in a respected and supportive scholarly environment. o	Now open. Closing 17 May 2015.
o	Opening April 2015. Closing 30 July 2015.
o	Opening July 2015. Closing 30 September 2015. The Library’s program of Fellowships and Scholarships replaces the former Harold White Fellowships which have supported over 150 research Fellows since 1983. The new Fellowships are broader in scope, with increased levels of financial assistance, made possible by many generous donors. In a first of its kind study, an international research team onboard Schmidt Ocean Institute's research vessel Falkor will conduct a data gathering expedition using coordinated groups of underwater robotics. The team, led byDr. Oscar Pizarrofrom the University of Sydney 's Australian Centre for Field Robotics, received support from the Schmidt Ocean Institute to visit Scott Reef, 400 kilometers north of Broome in the Timor Sea. The remote site will be used as a test site for experiments aimed at expanding the electronic view of the seafloor and overlying waters. The team comprised of engineers and scientists from the University of Sydney, James Cook University, Woods Hole Oceanographic Institution, University of Rhode Island, and University of Michigan aim to expand and improve techniques for efficiently coordinating deployments of multiple exploratory vehicles and tools. "We believe this is a big step in pushing oceanographic technology forward," said chief engineer, Dr. Pizarro. The work will bring engineers closer to being able to leave groups of robotic vehicles unattended for long stretches of time to accomplish tasks like detailed seafloor mapping and chemical analyses across wide areas. This could reduce both costs and the need for scientists to travel to these remote areas, while at the same time, improving ocean exploration by increasing observations. Autonomous underwater vehicles (AUVs) capable of taking photos and collecting water column measurements at various depths will be used along with autonomous surface vehicles (ASVs) and gliders. These vehicles come in a variety of forms, including some that use solar power and other vehicles that rise and fall with wave action. "The team 's ultimate vision is to be able to deploy complementary groups of vehicles to accomplish key tasks, that would allow a ship to move to another area for separate work,"says Dr Pizarro. "The expedition will be in stark contrast to typical research cruises where opportunities for engineering experimentation and testing are rare." The History Council of NSW is delighted to announce our involvement in the celebration of the 800th Anniversary of the signing of Magna Carta. This symposium has been organised in conjunction with the Magna Carta Committee, the Rule of Law Society and the State Library of NSW. The signing of Magna Carta in 1215 marked an important step in the movement away from arbitrary, monarchical rule towards responsible, constitutional government. By the end of the eighteenth century Englishmen had come to believe strongly in the principles of trial by jury and no taxation without representation-even if the latter took the form of virtual representation. These principles were carried to the colony of NSW and were at the heart of the movements to establish trial by jury and representative (or at least consultative) institutions, which commenced within two decades of the founding of the colony. The 800th anniversary of the signing of Magna Carta in 2015 provides the appropriate opportunity to re-examine this document and its role in British and Australian history. In this day long symposium, five speakers, including Prof Nick Cowdery, Prof David Clark, Prof John Hirst, Dr Rosemary Laing and Dr Andrew Tink, will explore the historical and contemporary significance of this groundbreaking document. This event will take place on Thursday May 7 2015. This event is free but bookings are essential! NSW Premier Mike Baird and Minister for Citizenship and Communities Victor Dominello today launched a program to acknowledge the selfless actions of volunteers. Member for Granville Tony Issa joined Mr Baird and Mr Dominello at the Granville Youth and Community Centre to launch the Premier’s Volunteer Recognition Program in front of about 200 volunteers. “The program will recognise the two million volunteers in NSW who together give up 240 million hours of their time to support others each year,” Mr Baird said. “In dollar terms, their combined effort supporting our community is worth about $5 billion to our economy. “This program recognises the support volunteers provide, a commitment made when we launched the first ever NSW Volunteering Strategy in 2012. Mr Dominello said the Premier’s Volunteer Recognition Program will have six levels of recognition and nominations for recognition in the adult categories open from today. Mr Issa said the program would be welcomed by community organisations, such as the Granville Multicultural Community Centre which rely on volunteers. “The Youth and Community Centre’s new fit-out and landscaping was made possible through 2,500 hours of volunteer labour from Granville Multicultural Community Centre and the South Granville Men’s Shed – making it the welcoming place it is today,” Mr Issa said. Nominations are invited for the first round of recognition which will close on 20 April. Local members of Parliament will present recognition certificates in National Volunteer Week from 11-15 May 2015. The Premier's Volunteer Recognition Program provides a greater recognition of volunteers than has ever been possible and complements the NSW Volunteer of the Year Award program. The Program aims to recognise people who commence volunteering when young, and is designed to continue recognition through the volunteering and life course. This will enable local people to recognise and celebrate those who make ongoing contributions to supporting communities. • People with more than 40 years of volunteering experience. Students: The NSW Government is encouraging students to experience the benefits of volunteering and to have their volunteering contributions recognised through their schools and universities. Government, Catholic and Independent schools that are interested in participating in the Premier's Volunteer Recognition Program may register their interest with NSW Volunteering. Web tools are available for students to track their hours through 2015, and to create a resume of their volunteering each year. Through the Federal Minister for The Environment, referred to the Bureau of Meteorology to be told that just one station would cost $29,000 and that no funding was available – that was a red rag to a bull. This is despite the fact that there are no BoM Coastal Weather Stations between North Head and Norah Head – a distance of 67Kms. Going south there are stations every 11 – 30Kms to Kiama. Without any Government assistance, private equity was volunteered by a very generous local willing to give back something to our idyllic Pittwater. Not only is he funding one station – the aim is to eventually have 5 -6 around Pittwater. This data will benefit sailors, fishermen, power boats, seaplanes, Marine Rescue, Maritime, Water Police, National Parks, the Rural Fire Service and yacht clubs. On Saturday 21st February, 2015 the first station was commissioned at Observation Point, Palm Beach. Webcams will be incorporated subsequently to give a birds-eye-view. Permission is pending from Rob Stokes – State Member for the Environment – to position one station on Barrenjoey Lighthouse. This will give both coastal and Pittwater coverage. Other sites will follow when siting permission is obtained. March 17, 2015 - Longer duration of breastfeeding is linked with increased intelligence in adulthood, longer schooling, and higher adult earnings, a study following a group of almost 3500 newborns for 30 years published in The Lancet Global Health journal has found. "The effect of breastfeeding on brain development and child intelligence is well established, but whether these effects persist into adulthood is less clear," explains lead author Dr Bernardo Lessa Horta from the Federal University of Pelotas in Brazil. "Our study provides the first evidence that prolonged breastfeeding not only increases intelligence until at least the age of 30 years but also has an impact both at an individual and societal level by improving educational attainment and earning ability. What is unique about this study is the fact that, in the population we studied, breastfeeding was not more common among highly educated, high-income women, but was evenly distributed by social class. Previous studies from developed countries have been criticized for failing to disentangle the effect of breastfeeding from that of socioeconomic advantage, but our work addresses this issue for the first time." Horta and colleagues analysed data from a prospective study of nearly 6000 infants born in Pelotas, Brazil in 1982. Information on breastfeeding was collected in early childhood. Participants were given an IQ test (Wechsler Adult Intelligence Scale, 3rd version) at the average age of 30 years old and information on educational achievement and income was also collected. Information on IQ and breastfeeding was available for just over half (3493) participants. The researchers divided these subjects into five groups based on the length of time they were breastfed as infants, controlling for 10 social and biological variables that might contribute to the IQ increase including family income at birth, parental schooling, genomic ancestry, maternal smoking during pregnancy, maternal age, birthweight, and delivery type. While the study showed increased adult intelligence, longer schooling, and higher adult earnings at all duration levels of breastfeeding, the longer a child was breastfed for (up to 12 months), the greater the magnitude of the benefits. For example, an infant who had been breastfed for at least a year gained a full four IQ points (about a third of a standard deviation above the average), had 0.9 years more schooling (about a quarter of a standard deviation above the average), and a higher income of 341 reais per month (equivalent to about one third of the average income level) at the age of 30 years, compared to those breastfed for less than one month. According to Dr Horta, "The likely mechanism underlying the beneficial effects of breast milk on intelligence is the presence of long-chain saturated fatty acids (DHAs) found in breast milk, which are essential for brain development. Our finding that predominant breastfeeding is positively related to IQ in adulthood also suggests that the amount of milk consumed plays a role." Writing in a linked Comment, Dr Erik Mortensen from the University of Copenhagen in Denmark says, "With age, the effects of early developmental factors might either be diluted, because of the effects of later environmental factors, or be enhanced, because cognitive ability affects educational attainment and occupational achievements...By contrast, Victora and colleagues' study suggests that the effects of breastfeeding on cognitive development persist into adulthood, and this has important public health implications...However, these findings need to be corroborated by future studies designed to focus on long-term effects and important life outcomes associated with breastfeeding." March 16, 2015 - According to a meta-analysis published in BMC Family Practice, high dose zinc acetate lozenges shortened the duration of common-cold associated nasal discharge by 34%, nasal congestion by 37%, scratchy throat by 33%, and cough by 46%. The common cold is an infection caused by over a hundred viruses, and it is a major cause of days off school or work and visits to a doctor. A previous meta-analysis of three randomized trials found that high dose zinc acetate lozenges shorten the duration of colds by 42%. Since all of the three studies reported the duration of diverse respiratory symptoms and of systemic symptoms such as muscle ache and headache, Harri Hemilä from Helsinki, Finland and Elizabeth Chalker from Sydney, Australia decided to investigate whether there are differences in the effect of zinc lozenges on different common-cold symptoms. When zinc acetate lozenges dissolve in the mouth, zinc ions are released into the saliva of the pharyngeal region where the levels are consequently high. Therefore the effects of zinc lozenges might be greatest on symptoms of the pharyngeal region such as sore throat, and less on nasal symptoms. However, when Hemilä and Chalker pooled together the results of the three studies, they found no evidence that the effects of zinc lozenges are less for nasal symptoms compared with respiratory symptoms originating from lower anatomical regions. According to the calculations by Hemilä and Chalker, high dose zinc acetate lozenges shortened the duration of nasal discharge by 34%, nasal congestion by 37%, sneezing by 22%, scratchy throat by 33%, sore throat by 18%, hoarseness by 43%, and cough by 46%. Furthermore, they found strong evidence that zinc lozenges also shortened the duration of muscle ache by 54%. On the other hand, there was no evidence of zinc effect on the duration of headache and fever. However, the latter two symptoms were infrequent in the three studies and therefore no definite conclusions can be drawn on headache and fever. Adverse effects of zinc were minor in the three studies. Therefore Hemilä and Chalker conclude from their research that "zinc acetate lozenges releasing zinc ions at doses of about 80 mg/day may be a useful treatment for the common cold, started within 24 hours, for a time period of less than two weeks." Men who feel suicidal often display distinctive warning signs, offering those closest to them significant opportunities to intervene, a study by UNSW researchers at the Black Dog Institute has found. The Men’s Experiences with Suicidal Behaviour and Depression Project (PDF – 1.04 MB) found there was an urgent need for more and better campaigns to educate the public about the warning signs and how to respond. Funded by beyondblue and The Movember Foundation, the study was led by UNSW Associate Professor Judy Proudfoot and UNSW Scientia Professor Helen Christensen, chief scientist and director of the Black Dog Institute. The research was based on face-to-face interviews and online surveys with more than 200 men across Australia who had recently attempted suicide, and 165 friends and families of men who had recently attempted to take their life. It found four common characteristics among suicidal men: stoic beliefs about masculinity, depressed or disrupted mood, the presence of stressful situations, and a tendency to isolate socially and use coping mechanisms that avoid, prolong or worsen the issues. “This important research and the four factors for men that it identifies adds to our knowledge and shows that suicidal distress can be observed and identified,” said beyondblue chief executive Georgie Harman. The research identified actions family members and friends could take to stop at-risk men attempting suicide, including ‘male bonding’ that prevents a downward spiral happening, and not leaving a man’s side when he is ‘acutely suicidal’. Almost all of the surveyed men said support from someone they trusted and respected was important in interrupting a suicide attempt. Eight out of ten men said having someone listen with an open mind, rather than simply saying that everything would be OK, had also helped. Professor Christensen said the results demonstrated that a diverse set of solutions is needed to ensure all people experiencing poor mental health are identified and received help. “Building on health promotion programs such as beyondblue’s Man Therapy campaign and Movember, we now need to develop and deliver clinical solutions that are accessible to Australian men of all ages and backgrounds,” she said. More than five men die by suicide every day in Australia, almost double the number killed in road accidents. Australian men are three times more likely to die by suicide than women. If you think you or someone you care about may be suicidal, you can talk to trained mental health professionals 24/7 via the beyondblue Support Service on 1300 22 4636, via web chat from 3pm to midnight every night at www.beyondblue.org.au/get-support. A fundamental question pursued by plant scientists worldwide for the past decade has been answered by researchers led by the University of Sydney. "Our findings have major implications for our understanding of how plants adapt to the environment. What's more, they indicate that similar processes occur in humans so the findings should be embraced by medical researchers and agricultural scientists alike," said Dr Rodrigo Reis, lead author of the findings published this month in Nature Plants. Dr Reis is from the Faculty of Agriculture and Environment at the University of Sydney. "Our research provides crucial insights into how we might improve the environmental adaptation of plants, including the yields of crop species. It also has the potential to advance gene therapies that are being researched to address ageing and diseases, including cancer." Although our different cells and organs have exactly the same set of genes, the ability of any organism to turn certain genes on or off within each cell is central to the functioning of the organism. It defines the identity of cells, tissues and organs, and controls responses to the environment. An important way in which this process is regulated is by tiny RNA molecules, called 'microRNAs'. Specific microRNAs control specific genes or sets of genes. "You could describe microRNAs as 'master controls'. They have the capacity to switch specific genes on and off, determining whether the proteins that these genes code for are present or not. We call this the control of gene expression," said Dr Reis. "It's clear that the loss of microRNA control of certain genes can result in cancer and a range of other pathologies". "The tricky bit in gene expression control is that sometimes the messenger RNA (mRNA) that code for specific proteins, have to be thoroughly cleared from the cells when their task is completed. In contrast, other cells might need to keep them handy so that they can be accessed quickly if needed, for example if cells are damaged by intense sunlight." The researchers discovered that the microRNA mechanism that controls whether a particular cell destroys or simply represses the mRNA molecules in plants relies on 'switcher' genes. "The presence of these genes 'switches on' one of the two options, destruction or repression. If certain cells produce one switcher (DRB2) then that keeps the gene products in reserve, ready to use in an emergency. If DRB2 is not present but another one, DRB1, then the gene products are destroyed," said Dr Reis. "Because the basic microRNA system is present in both plants and animals, similar switchers are likely to exist in humans. Based on our findings, we've indicated their likely identities in the article." Now that the researchers have found the switchers, it will be possible to manipulate them. Regulating the switcher mechanism should allow them to boost the capacity for environmental adaptation without interfering with development. This has clear applications for plants affected by climate change. "The discovery and manipulation of switchers in humans could also make gene therapy more specific, with fewer side effects." The researchers worked collaboratively for three years analysing the plant model Arabidopsis to reveal the underlying mechanism. Professor Peter Waterhouse, School of Biological Sciences at the University of Sydney and Science and Engineering Faculty at Queensland University of Technology, Professor Marc Wilkins and Dr Gene Hart-Smith from the University of NSW, Dr Andrew Eamens from the University of Newcastle are the co-authors on the Nature Plants article.